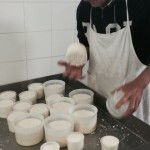 Let me introduce you to some of the congenial, generous artisans in and around the city of Lecce whose passion for and commitment to their craft is apparent and contagious! One of the joys of traveling in Italy is not only finding similar customs and general cultural parallels but experiencing the distinct and obvious differences and the rich diversity from region to region, sometimes even within a region. Puglia is no exception. Strategically located, the “heel” of Italy’s boot has been invaded, ruled and influenced by (to name a few over the last few thousand years!) the Greeks, Romans, Turks and the Spanish. All of these civilizations have left their mark and are reflected in its culture, art, cuisine and customs. It’s these very unique influences that are reflected in each region and it’s the local artisans who, with love and pride, are committed to preserving the past and carrying on local traditions for future generations. 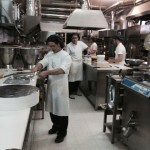 So, artisanal or artigianale excellence is alive and well in Italy and, again, Puglia is no exception! Today we’ll visit several/four of these artisans, so let’s begin shall we? 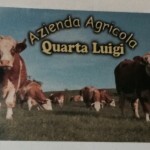 Located in Squinzano (near Lecce), Agricola Taurino has been family owned and operated for almost 30 years. The tasting room and production plant sits in the midst of thousands and thou-sands of olive trees. 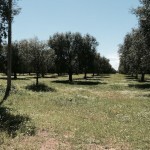 Their Oliva oil, liquid gold, is lovingly and scrupulously produced on site. 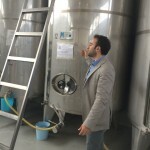 They grow 12 varieties of olives and all of their oils are extra virgin and cold pressed within 8 hours of being picked. Now that is fresh! Using the latest modern technology while observing strict governmental regulation, Agricola Taurino is committed to producing only the highest quality organic product. 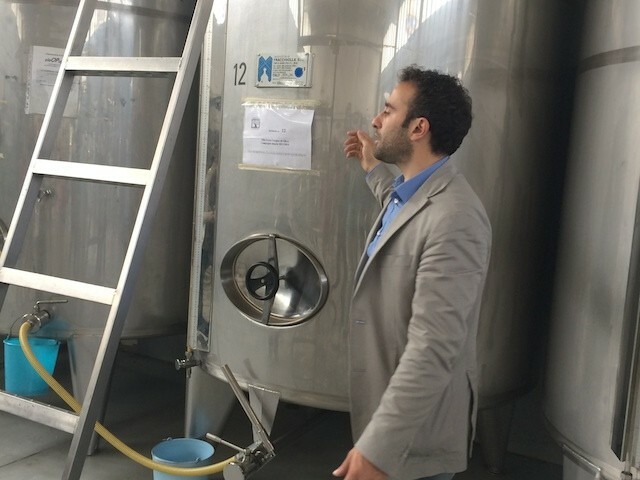 After an informative tour, Valentino, and co-owner Donato, introduce us to the nuances of tasting olive oil (very similar to tasting wine)…bitter, spicy, fruity… and tell us about its many benefits. We enjoy sampling some of their exquisite Oliva organic oil and take advantage of the opportunity to bring some home. 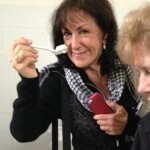 Of course, I do and I can’t wait to savor another “taste of Puglia”! Grazie Valentino, Donato and Agricola Taurino! We are welcomed to Cantina San Donaci by Carlo and Francesca. Producing premium wines since 1933, San Donaci produces wine from the delicious varietals unique to the Salento region including: Salento Chardonnay, Primitivo, Rosato, Negroamaro, and Salice Salentino. 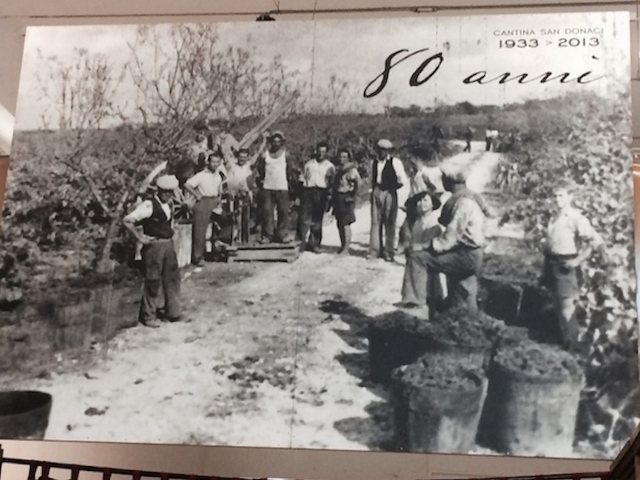 Before our tour, Carlo, shares the background of San Donaci, which is one of the oldest wineries of the Salento countryside. 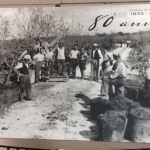 Sourcing their grapes from a cooperative of 300 growers, their motto is “vite e vine dal Salento”. 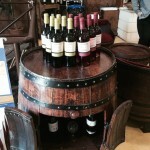 Although Puglia has long been Italy’s largest producer of wine, it was used to “boost” the wine in other regions. However, today Puglia is stepping onto the world stage and taking their rightful place in the oenological limelight with their notable and quite fabulous wines. After touring the vast underground cellar (la bottaia), which has been used since the 14th century to store wine, it’s time to sample some of Salento’s finest varietals! Paired with the appropriate cheese or salami, Carlo and Francesca present a delicious wine tasting in their Cantina. It’s hard to choose a favorite! Salute! It’s a drizzly spring day as we head to the outskirts of Lecce. We turn onto a narrow country road leading to a small farm and facility. We’re going to see fresh cheese being made! 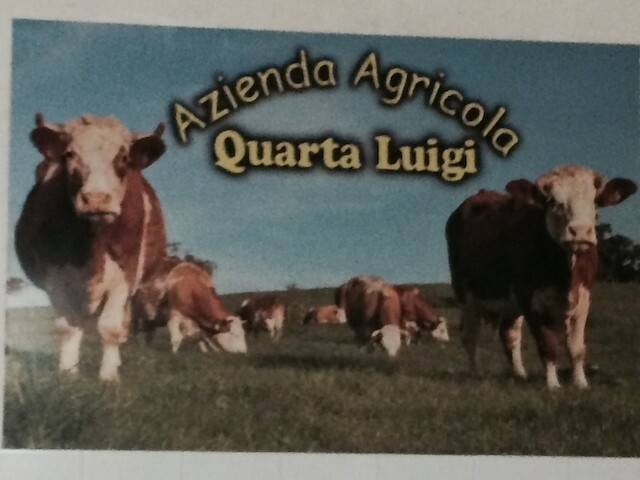 Azienda Agricola Quarta Luigi is a compact scrupulously clean facility. Here, Cosima and Luigi have been working since 3 a.m. Yes, you read it right, 3 a.m.! They’re already finishing their se-cond batch by the time we arrive in late morning. 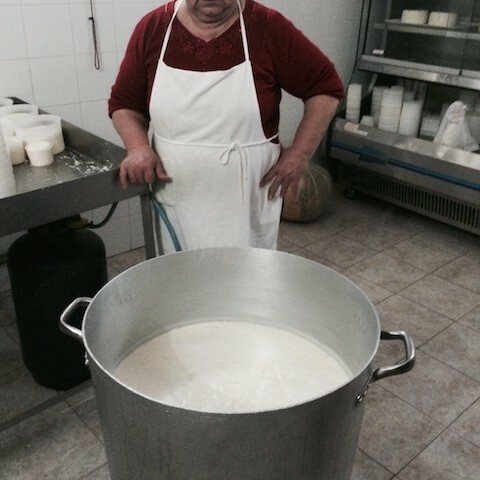 Made from the sheep and cows milk from their own farm animals, Cosima is standing at a huge cauldron. She expertly hand stirs over a perfectly calibrated fire with a wooden paddle for 1-1/2 hours…twice a day! Experience and love are her secret ingredients… and when I ask her how long she has been doing this, she laughs and says ever since she can remember! 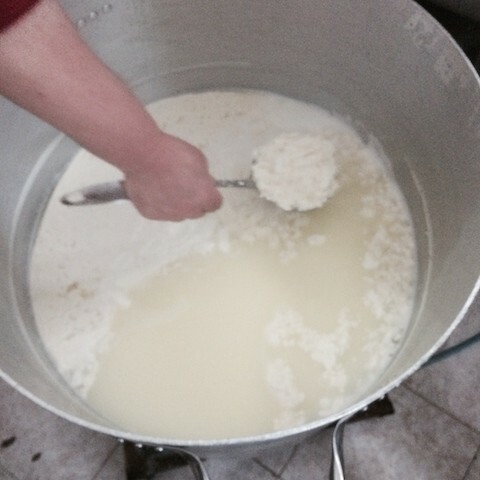 As the liquid starts to separate into curds and whey (there you go Little Miss Muffet!) ….she starts to skim off the curds into perforated containers. The liquid will drain off leaving about the freshest ricotta you can imagine. 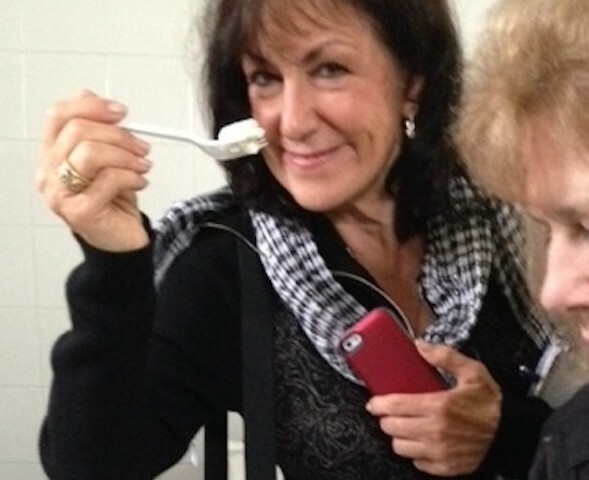 Once it cools, we sample…OMG! Cosima and Luigi sell only to locals who pick up their fresh cheese daily. No doubt this truly a labor of love and it tastes like it! It doesn’t get any fresher or more delicious…oh, to live in the neighborhood! 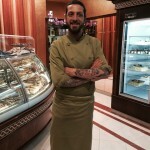 In the more residential section of Lecce, you will find Luca Capilungo’s Pasticceria. And I suggest that you find it! An absolute feast for your sweet tooth, Pasticceria Luca Capilungo is the result of one man’s passion. Luca’s day begins at 4am. 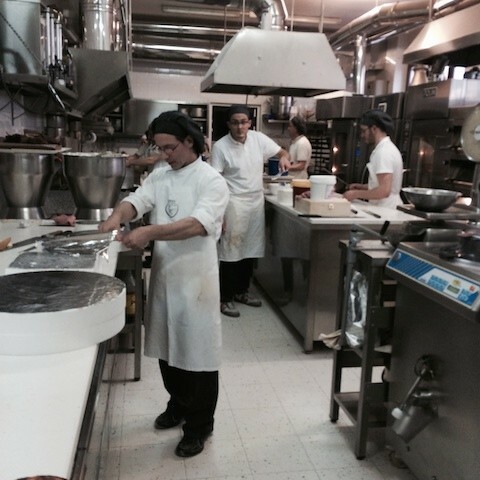 A pastry maker since he was 14 years old, at the age of 23, he opened his own pasticceria and now employs 14 others. 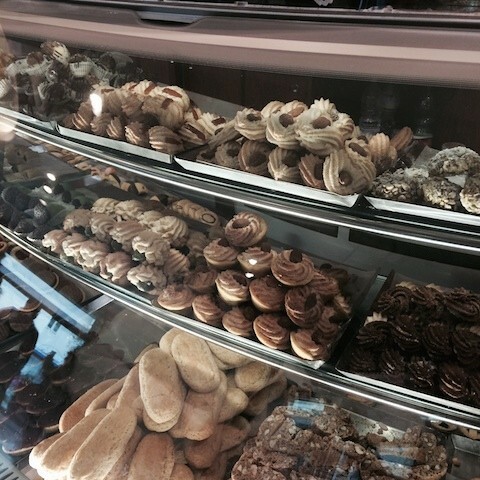 Together they offer a mouth-watering assortment of dolci that will please any sweet tooth (even mine!). Pasticiotto is a specialty of Lecce (and may I concur that it is special!). Obviously it’s a local favor-ite since 100-150 are made daily (more in summer) and over 600 on Sundays! Today, we get a “hands on” demonstration by Luca. 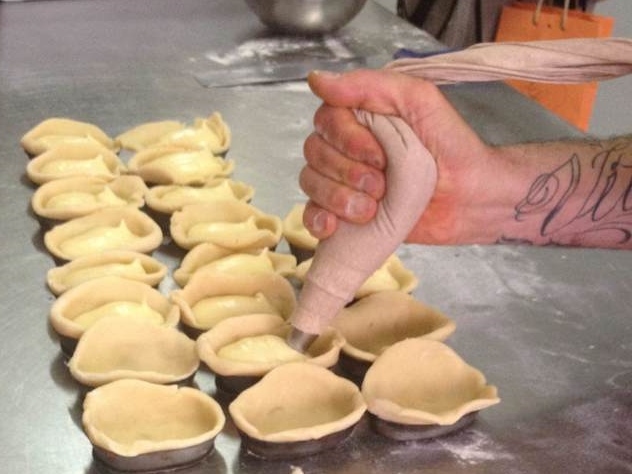 He expertly demonstrates how each pasticciotto is made and baked in its own pan. 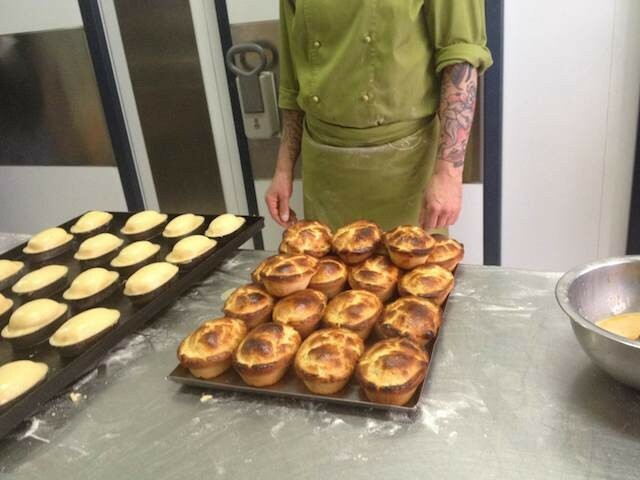 Simple ingredients – pastry dough and custard fill-ing – are fashioned into mini pans. 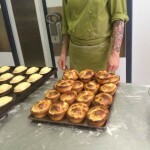 Luca makes it looks easy enough… line the pans with dough, fill with custard, dough on top, crimp the edges… We try our hand…well…it’s fun to try and even more fun to sample while they’re still warm and fresh! Delicious! 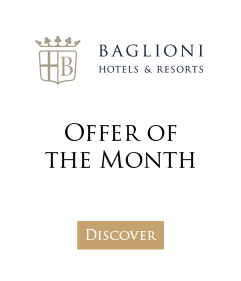 Concierge tip: Passionate about discovering the best Italian olive oils and wines? 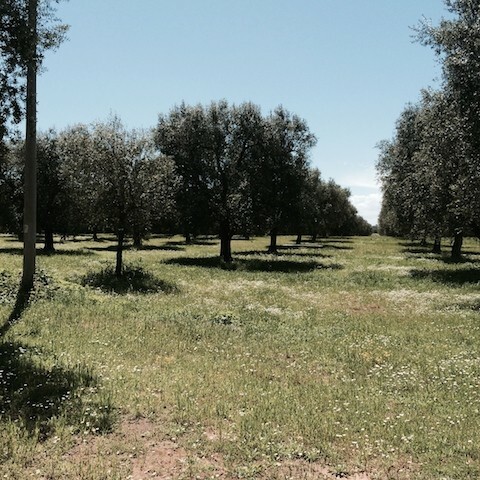 Then why not combine the above Puglia tour with a dream agritourism itinerary in Tuscany and a stay at Relais Santa Croce. Puglia, also known as Apulia for non-Italians, is tucked in Italy’s picturesque south.